Canadian Quakers practice their faith in living and doing. We work at our daily lives and play and study like other Canadians but give a high priority to developing our spiritual lives and to learning through being together. We support learning and research for members and many others through continuing education, and with Resources, written and visual. Education Program Coordinator website contains a blog and Facebook presence for ongoing information, and a quarterly newsletter you can sign up for. Researchers interested in Quaker material can find national and international links as well as access to Quaker Archives held at Pickering College, Ontario. The Youth Secretary coordinates their information and blogs for all youth who have an interest in activities with a Quaker focus, both in Canada and internationally. Founded in 1931, Canadian Friends Service Committee (CFSC) addresses the peace and social concerns of Canadian Yearly Meeting of the Religious Society of Friends. Rooted in our Quaker faith, CFSC is guided by a vision of a world in which peace and justice prevail, where the causes of war and oppression are removed, a world in which the whole of Creation is treated with respect and where individuals and communities are freed to reach their fullest potential. Camp NeeKauNis is a Quaker camp on the shore of Sturgeon Bay, (off Georgian Bay) near Waubaushene, Ontario, 130 kilometres north of Toronto. Programs for people of all ages offer an experience of caring and sharing in the spirit of Quakerism, in worship, play, work, and reflection. 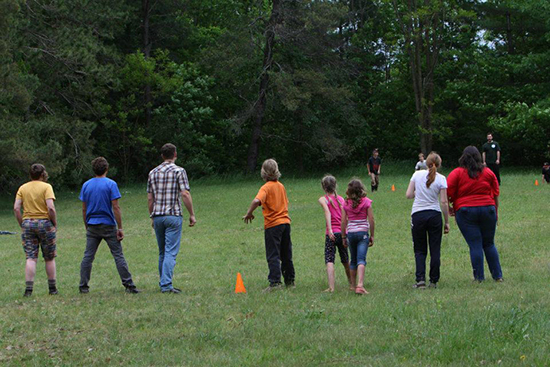 We welcome both children and adults as campers, either on their own or together. Camp can be a joyous and rejuvenating time for an adult, and an experience a child will treasure for life. The facilities and programs at Camp NeeKauNis are the result of the volunteer efforts and contributions of F/friends over more than seven decades. Programs for families, children, young adults and mixed groups are offered in a series of camps which provide opportunities for relaxation, recreation and spiritual growth. Please visit the camps’ website. Western Half Yearly Meeting meets twice a year, May in Sorrento, B.C. and October on the Prairies. WHYM is an intergenerational community with programs for everyone; folks attend from every age group, including young children, teens, and elders. All the treasured WHYM traditions of balancing, singing, campfires by the lake, rides on the “Flying Fox” zip line, Worship Fellowship, Special Interests and Meetings for Worship and Business, provide the context for us to learn, make new friends and renew our bonds with one another. 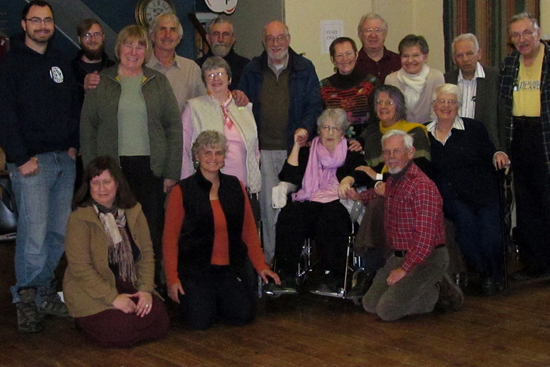 Quakers in the Atlantic provinces gather on the long May weekend every year for fellowship, usually at a rustic seashore centre or local university, during Atlantic Friends Gathering. The AFG program changes yearly and does not do Quaker business although matters of importance are often ‘threshed out’, to use a familiar Quaker term, in a friendly atmosphere that includes lots of outdoor time. Children from 0 to 100 (and up) are welcome! Atlantic Quakers meet again for one day in the fall to coordinate their activities and exchange information among Meetings. In Ontario, Quakers in the Greater Toronto area meet twice a year at Yonge Street Half-Yearly Meeting for business combined with the fellowship and enjoyment of one another’s company that bind us joyfully together throughout our activities. If you are near Hamilton, Simcoe-Muskoka, Toronto or Yonge Street Monthly Meetings, here is a wider Quaker fellowship for you and your family. The first full weekend of June is YSHYM’s weekend at Camp NeeKauNis (Friday evening to Sunday after lunch). YSHYM Ministry & Counsel committee plans and leads the Friday evening program each year, and the four Meetings take turns planning and facilitating the Adult Program, Children’s Program, Publicity & Registration, and Food Preparation. YSHYM meets for a day in the autumn at one of the three Meetings, on a rotation schedule. The Half Yearly’s Coordinating Committee –made up of a representative from each Monthly Meeting– is responsible for overseeing these Gatherings, reviewing the role of each Monthly Meeting, acting as a resource group, and offering guidance and assistance. A member of YSHYM Ministry & Counsel also sits on the Coordinating Committee, as does the Clerk of YSHYM (ex officio). Each Monthly Meeting’s representative on the Coordinating Committee is the liaison between that Committee and the Monthly Meeting. As an intermediate meeting, PHYM receives annual State of Society Reports for consideration before they are sent on to CYM, receives Memorial Minutes of Friends under its care and takes on other business as guided, such as supporting concerns of individuals or Meetings.. The daylong gatherings include worship and business in the morning; a leisurely potluck lunch allowing plenty of time to renew friendships; and an afternoon program, designed and led by each monthly meeting in turn. PHYM’s roots go back to the beginning of Quakerism in Canada. Three of its four constituent Monthly Meetings have the deepest roots of any in Canada. Pelham Executive Meeting, the oldest, was founded in 1799; Yarmouth –located in Sparta– was formed in 1823, and Coldstream in 1837. Although most Canadian Quakers are Convinced Friends who have found their way to Quakerism after much seeking, these meetings have members whose connection to the Society of Friends goes back many generations— a great asset in the spiritual life of Half Yearly Meeting, and indeed the Yearly Meeting. The fourth Monthly Meeting, Kitchener Area– including worship groups in Guelph and Lucknow– was formed in 1967. St Lawrence Regional Gathering has five participating meetings: Ottawa, Montreal, Peterborough, Wooler, Thousand Islands, and their nearby worship groups. Its’ gatherings are held in the Spring, and Fall (usually the weekend after Thanksgiving), at a location central for the meetings. Organization is rotated and information is available through Montreal Monthly Meeting. The size of our large country and our small numbers means that such chances to get together are highly valued. We invite old and new Friends, and those who seek, to contact us and experience these events.